A Commissioner for Oaths for Ontario must write or stamp below his or her signature, on every affidavit, declaration or other document made before the person. A standard (Ontario) Commissioner for Oaths stamp specifically for Paralegals, personalized with your name. 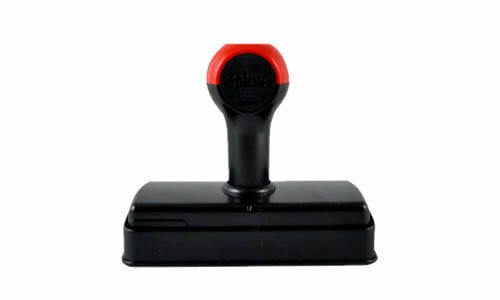 Traditional rubber stamps with a wooden handle or as a pre-manufactured plastic mount are an economical alternative to self-inking stamps. 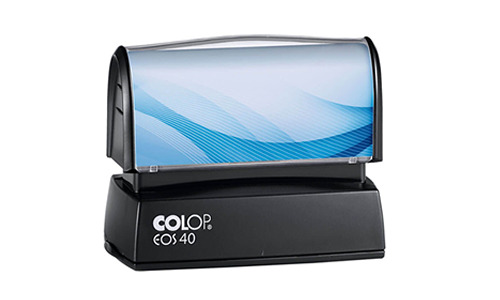 They do require a separate stamp pad which are available in Black, Blue or Red. 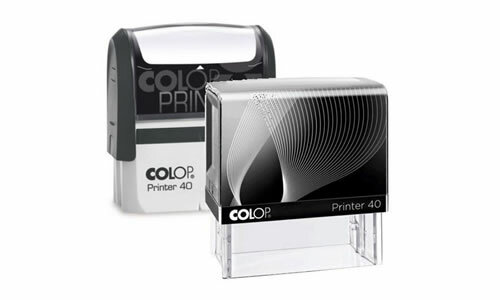 Large selections of alternative color stamp pads are available at local 'craft' stores. Specialty Quick Drying stamp pads can be purchased with quick drying ink for stamping on glossy or non-porous surfaces. Premium pre-inked flash stamp with sharp 'ink jet printer' like imprints, 20,000+ impressions, built in re-inkable pad, comes with bottom dust cover. Available with Black, Blue or Red oil based ink. Oil based inks will not run when exposed to moisture. Special 'quick dry' inks can be used to stamp on glossy or non-porous surfaces.